This is the story of mankind clawing for survival, of mankind on the edge. The world outside has grown unkind, the view of it limited, talk of it forbidden. But there are always those who hope, who dream. These are the dangerous people, the residents who infect others with their optimism. Their punishment is simple. They are allowed to go outside. Boing Boing's Official Review: "This story is terrific. 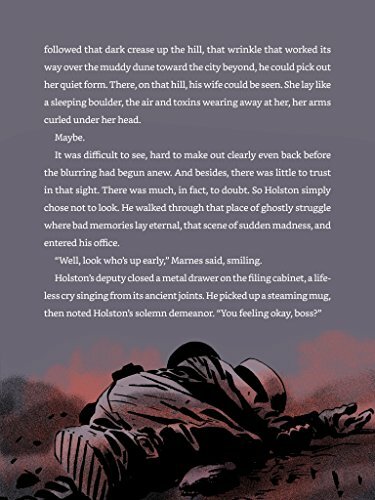 I was completely immersed, watching Howey slowly paint a picture of a society gone wrong through the eyes and discovery of some truly compelling characters." Wired.com's Official GeekDad Review: "Howey is among a growing list of authors who are making successful careers of publishing without the assistance of agents and traditional publishing houses. The traditional argument has been that if a book couldn’t find a publisher it probably wasn’t worth reading. However, just as iTunes changed how consumers found music and the way in which bands made their bread, ebook readers, and in particular the Kindle, are changing the ways in which authors find their readers and make a living. All of this means the old assumptions about indie books no longer hold true, and readers need to be prepared to adjust their expectations accordingly. 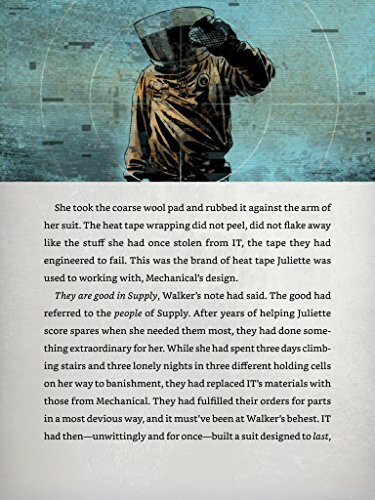 The Wool Omnibus is a great book and deserves recognition as a full fledged contribution to the science fiction genre." 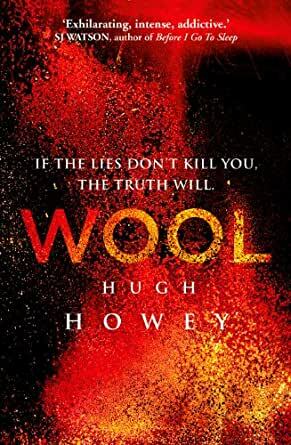 WOOL went from a self-published short story to a blockbuster New York Times bestseller in 2012 (New York Times, October 2012). The work has been translated into over 40 languages, and was picked up by Ridley Scott and 20th Century Fox for a feature film adaptation. Note from the author: This Omnibus Edition collects the five Wool books into a single volume. It is for those who arrived late to the party and who wish to save a dollar or two while picking up the same stories in a single package. The first Wool story was released as a standalone short in July of 2011. Due to reviewer demand, the rest of the story was released over the next six months. My thanks go out to those reviewers who clamored for more. Without you, none of this would exist. Your demand created this as much as I did. Deze shoppingfunctie blijft items laden. Om deze carrousel te verlaten, gebruik je je sneltoets om naar de volgende of vorige kop te bladeren. Be transported into the story with art, animation, or video features that complement the narrative and are available at no extra cost. This book includes art, animation, or video to bring the story to life. Experience this book with additional features—or switch them off at any time. Self-publishing still gets a bad rap. 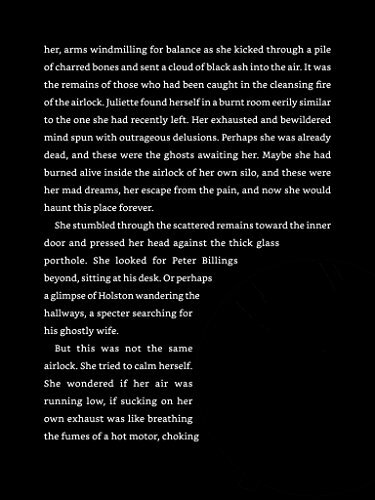 Sometimes it’s justified: with a lower barrier to entry, platforms like Kindle Direct Publishing allow anyone to publish anything, even if it’s a stream-of-consciousness first draft riddled with typos. But there are plenty of brilliant, professional “indie” authors out there. And Hugh Howey is one of them. Wool: Omnibus Edition is a collection of his first five novellas in the Wool series. 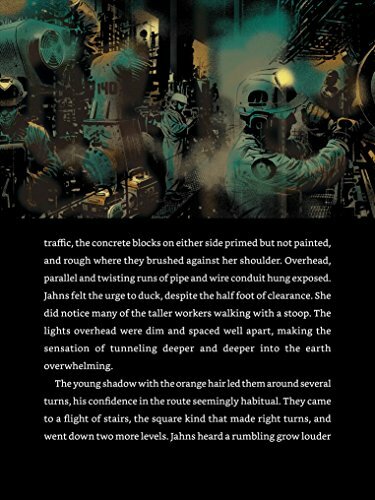 The stories are set in a post-apocalyptic future in which the earth’s air has become toxic and the last survivors are forced to live underground in an immense silo with over 130 levels. How the world came to ruin is lost to history. But people know that talking about going outside is punished by being forced to go outside: troublemakers are sentenced to use wool pads to clean the lenses of the silo’s exterior cameras before succumbing to the noxious atmosphere. There’s as much mystery as science fiction in the first few novellas. Aside from the big question—what caused the apocalypse?—Howey builds his world piece by piece in an investigative format that takes the reader along on a hunt for the truth. Why do people condemned to die still fulfill the ritual of cleaning the cameras? What caused the dimly remembered uprisings in the silo? Who’s keeping all these secrets? Are they right to do so? And why isn’t there a freaking elevator? There are murders to solve too, and while the action is slow-paced at first, Howey turns out to be as ruthless with his characters as George R. R. Martin. All this—plus heaps of strong writing—would be enough to make me like Wool on its own. But the Omnibus Edition also features beautiful illustrations, many of which are animated. 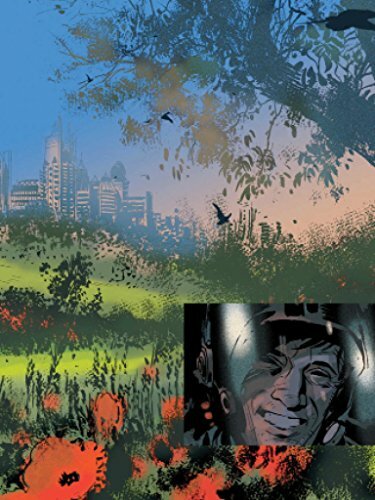 (Even the cover on Amazon has motion to it.) At first, I found the kinetic bits distracting, but I came to enjoy them as the stories developed. None of this is to say Wool is perfect. I thought the third novella spent too much time rehashing a mystery that had already been solved in the first. And now and then Howey’s descriptions get a touch granular for my tastes. But I’ve never read a flawless “traditionally” published book either, and Wool is better than most. Because good writing is good writing, no matter who puts it out. 28 mensen vonden dit nuttig. I had very high hopes for this book. I bought the trilogy because it was rated as one of the best dystopian sci fi series out there on a couple of sites. But I had a very hard time getting through the first book. - Poor dialogue for many characters... sometimes cringe worthy. - Its a totalitarian state, where the 'mayor' can send someone to their death when desired. However this 'mayor' doesn't know what is happening on many of the 144 floors, doesn't understand how the information technology or 'IT' people collect and use data on all the citizens, doesn't understand how the 'machines' way down in the mechanics area keeps everyone alive with the water and power and all that. Knowledge is power. And this 'mayor' did little more than sign birth certificates. Seemed like some token leader that didn't fit the vibe of the book at all. - The sheriff is the law, and again in my mind just didn't fit. In this type of totalitarian state he would be integrated into IT, monitoring and controlling the thoughts of the inhabitants... with a well armed militia ready to stamp out dissent at a moments notice. Instead we get a guy and his aged deputy who know nothing about 'IT' or much of the rest of this silo... Just seemed incredibly hokey. - They live in what is basically an underground sky scraper. They have foundries and machine shops and can fix whatever problems have arise... and have for many, many years. But they cannot install an elevator? They have one set of stairs going up and down... What happens when they have an earthquake? Or the stairs collapse due to heavy use? Where is the set of stairs for the porters to go up and down to deliver goods? Why not install a service elevator?? They have all these techno widgets and computers... but cannot install something that was invented in the 19th century? What?? All these things just kept echoing in my mind as I plodded through the book. I went from reading 30 pages at a time, to 15, to two... and ended up just skimming through the last third. Not very well thought out and nowhere near the quality of something like GRR Martin. I read that it was an indie book. I can see why. I am very surprised that it has done as well as it has. 16 mensen vonden dit nuttig.